After almost two years of rumbling under Auckland, a giant boring machine called Alice is due to break through to daylight this morning (19th Oct 2015), leaving twin motorway tunnels in its wake. Guests from the industries and the community wait for the breakthrough of Alice. The 87m tunnelling machine with a cutting head the height of a four-storey building is expected to break into a deep trench in Alan Wood Reserve, Owairaka, by midday. That was where it began its 4.8km journey to Waterview and back in November 2013, digging three-lane traffic tunnels each way to connect the Southwestern and Northwestern motorways along Auckland’s 48km Western Ring Route between Manukau and Albany. 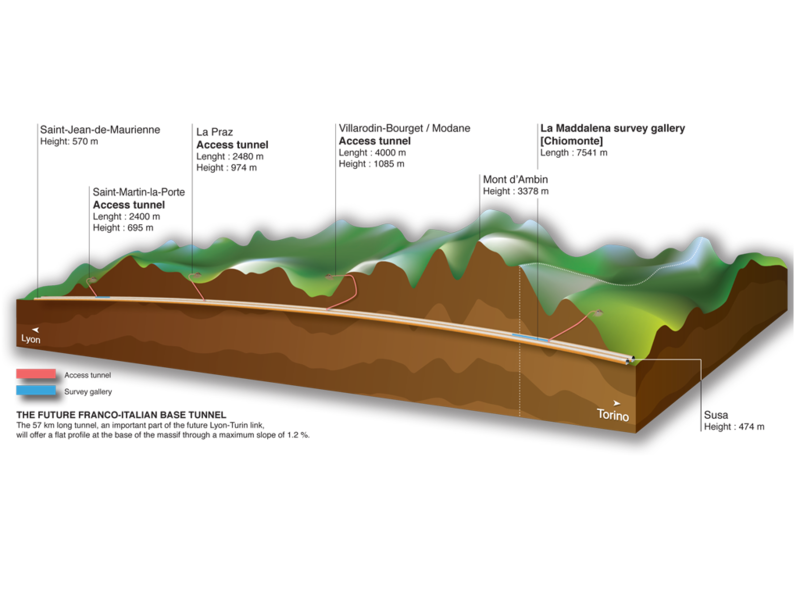 They will be the New Zealand’s longest road tunnels, each twice the length of the Auckland Harbour Bridge and overtaking the 1.97km traffic link through Christchurch’s Port Hills to Lyttelton. 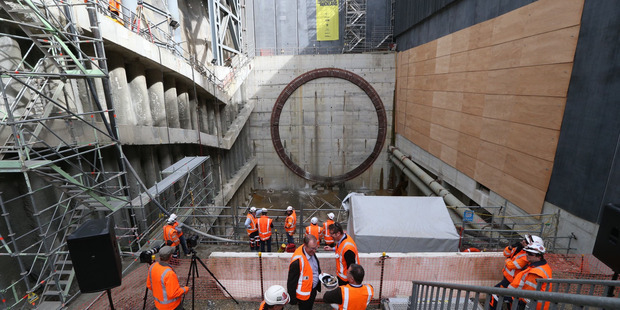 The $55 million machine has doubled as a subterranean factory, lining the tunnels as it went with more than 24,000 prefabricated concrete segments, each weighing about 10 tonnes and churned out of a batching plant in East Tamaki which has already been decommissioned. It has been trailed both ways by an expanding conveyor belt which has carried about 800,000cu m of spoil out of the tunnels to a drying plant, for transfer by trucks to a disused Wiri quarry. That included a 180-degree turn in a tight space at Waterview, where 200 litres of sheep’s lanolin was used to ease the various segments of the tunnelling machine around the bend. The Transport Agency says more than 800 staff and contractors on the $1.4 billion project will stop work this morning to watch video of the expected breakthrough in a marquee above the southern approach trench at Owairaka. But it says its priority is for the operation to be conducted safety and effectively, so neither the time nor even date of the breakthrough can be guaranteed.